We appreciate you visiting our website and showing interest in our library. Protecting your personal data is very important to us, and we want you to feel safe when visiting our website. For this reason, we have put together some important information for you on the data that are collected, processed and used in accordance with privacy regulations when you visit our website. Personal data are individual pieces of information about a personal or the material circumstances of an identified or identifiable natural person. This includes information such as your proper name, your address, your telephone number and your date of birth. Information not classified as personal data, on the other hand, includes information that cannot be linked to your real identity, such as the number of users on our website or comparable summarised data. You can generally visit our website without telling us who you are. We only see your IP address, the website from which you came to us, and the pages you visit on our website. This information is analysed for statistical purposes. As an individual user, however, you will remain anonymous. Personal data is only collected if you provide this to us of your own accord, such as to receive our newsletter, a survey, or when signing up for personalised services. 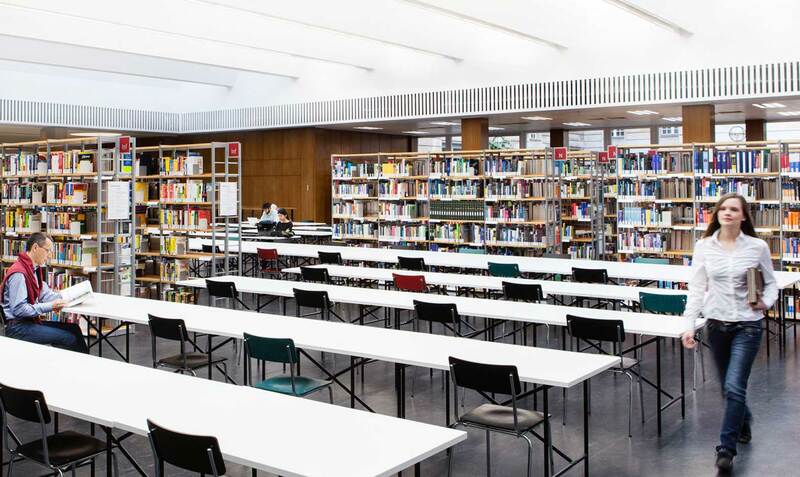 As part of the ZLB’s (Berlin Central & Regional Library) personalised services, your registration data will be processed for market-research purposes and to tailor electronic services to you, provided you have consented to this. This data will not otherwise be shared with third parties. You may of course revoke your respective consent to future data collection and processing at any time, and will be advised on this separately when we ask for your consent. “Cookies” are small files which enable us to store specific information relating to you, the user, on your PC while you visit our website. Cookies help us calculate the usage frequency and number of users visiting our website, and make our website as convenient and efficient for you as possible. We use “session cookies”, which are only stored for the duration of your visit to our website, and “permanent cookies” to record information about computers that repeatedly access our website. This enables us to offer you an optimum user experience, “recognise” you, and provide you with new and varied content when you visit our site repeatedly. The information held by a permanent cookie is limited to an ID number. Your name, IP address or other information about your true identity is not stored, and we do not create individual profiles of your usage behaviour. Our website may also be used without cookies. You may disable the storage of cookies under Advanced/Internet Options on your respective browser, restrict cookies to certain websites, or set your browser so that it notifies you when a cookie is sent. You can also delete cookies from your PC’s hard drive at any time (e.g. Firefox: Advanced > Settings > Privacy > Display cookies > Clear cookie / Clear all cookies; Internet Explorer: Advanced > Internet options > Clear browser history / cookies). Please note, however, that this will restrict your user experience and the way our website is displayed to you. Alternatively to the browser add-on, particularly in the case of browsers on mobile end devices, you may also prevent Google Analytics from recording data by clicking this link. This will install an opt-out cookie which will prevent your data from being recorded when visiting this website in future. The opt-out cookie will only apply to this browser, and only to our website, and will be stored on your device. If you delete the cookies in this browser, you will have to re-install the opt-out cookie. Further information on this is available at http://tools.google.com/dlpage/gaoptout?hl=de (general information on Google Analytics and privacy). Please note that our website adds the code “gat._anonymizeIp();” to Google Analytics to ensure anonymised recording of IP addresses (known as IP masking). In accordance with privacy regulations, we will automatically delete your stored personal data if it is no longer required in order to fulfil the purpose for which it was stored, or if the storage thereof is prohibited based on other legal grounds. In some legally stipulated cases (e.g. legal storage duties), your data may be locked instead of deleted.